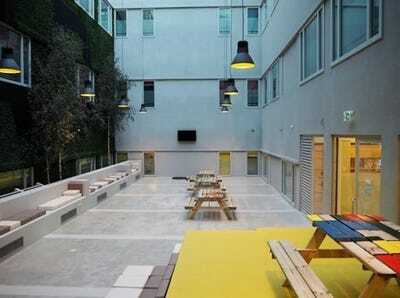 HostelworldYes, this is a hostel — and it starts at £22 a night. The idea of staying in a messy, loud hostel might seem like a thing of the past – best kept for the backpacking days of your late teens and 20s. 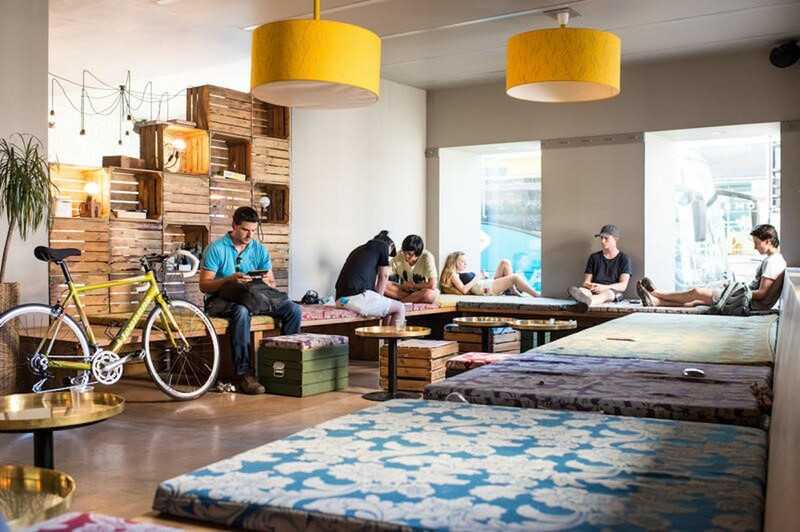 However, a “hostel” is simply “budget-friendly accommodation that focuses on a shared social experience.” While to be considered a hostel it must have the option of a dorm room, most offer private rooms as well – and instead of messy and loud, some can actually be pretty luxurious. 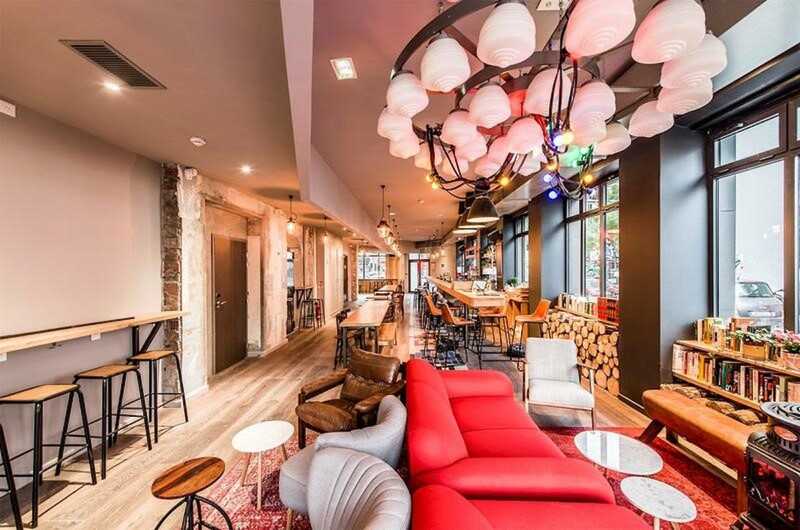 Business Insider teamed up with hostel booking site Hostelworld and its HOSCAR ranking of the best hotels in the world to discover where you’ll find the most luxurious hostel in every European country for under £40 ($US54). Scroll down to see each one – as well as what it will cost you and what you can expect – in alphabetical order. AUSTRIA: Wombats City Hostel, Vienna. 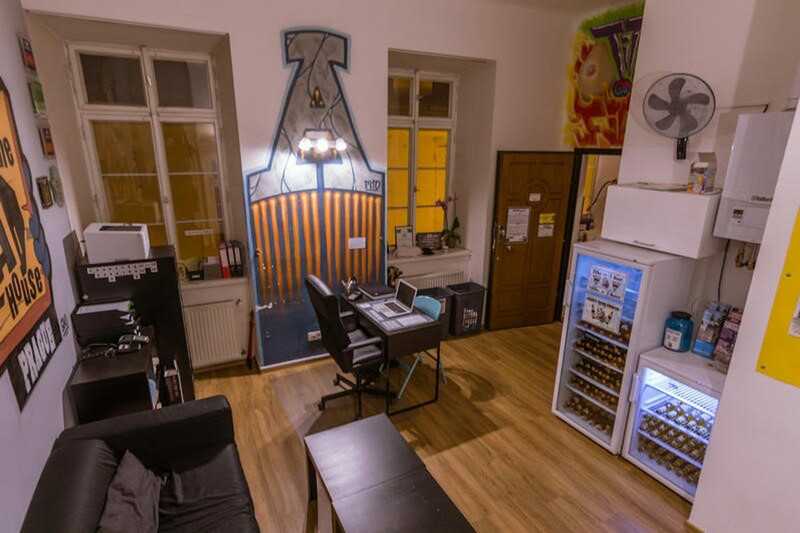 Overlooking Vienna’s biggest market, Wombats City Hostel is just a short walk from the Hofburg, Secessionhaus, and the Vienna State Opera. 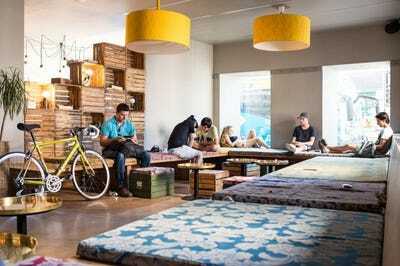 It’s modern and super-clean, with a lively bar serving cheap beer, free WiFi, and even a welcome drink. Price: Dorms from £22 a night. Located in the centre of Baku, The Centrum Hostel is only a five-minute walk from the city’s old inner city (Iceri Seher) and within walking distance to the Caspian Sea Boulevard. Price: From £3.95 for a dorm room. 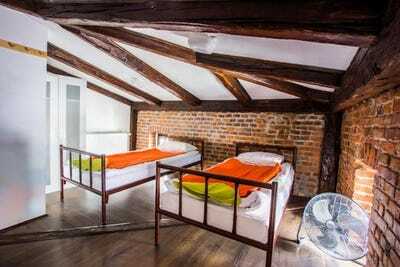 Stylish and spacious, Your Hostel in Minsk occupies a three-level private house with bright dorm rooms, four modern bathrooms, a fully equipped kitchen, and a fireplace hall. There’s a living area with a fireplace, darts, and a library. Price: Private four-bed rooms from £26, dorms from £5. 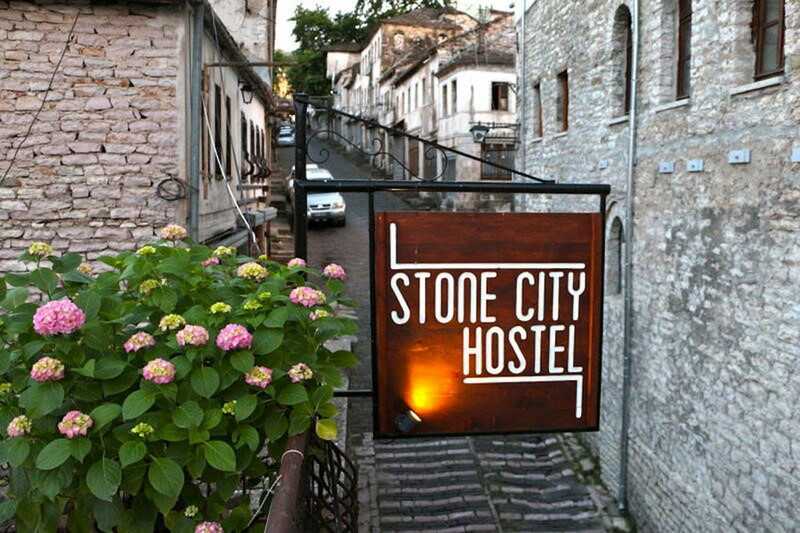 BOSNIA AND HERZEGOVINA: Hostel Majdas, Mostar. 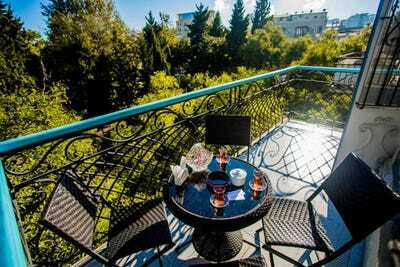 This small, family run hostel in the modern center of Mostar offers guests a fresh homemade breakfast as well as an outdoor garden, fully-equipped kitchen, and lounge area. It’s just a short walk from the Old Town and The Old Bridge. Price: Private twin from £19, dorms from £8. 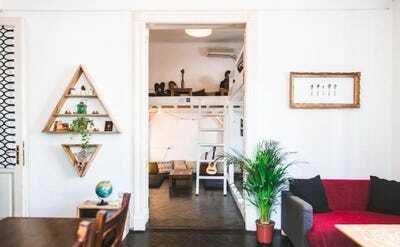 Previously voted Hostelworld’s “best small hostel,” this renovated 19th-century house has a romantic wooden veranda, pool table, games room, and free WiFi. 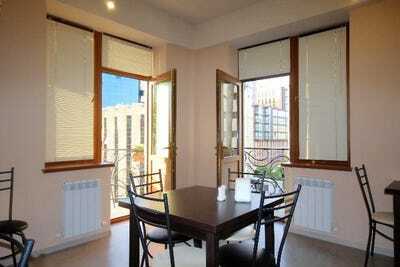 It’s located close to the outdoor markets, restaurants, bars, and attractions of Sofia. Price: Single private from £21, dorms from £8. 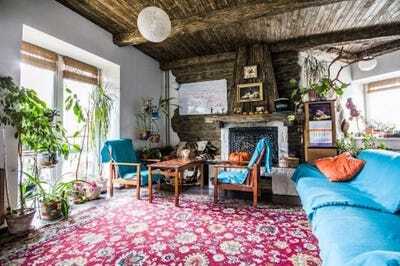 CROATIA: Split Guesthouse and Hostel, Split. 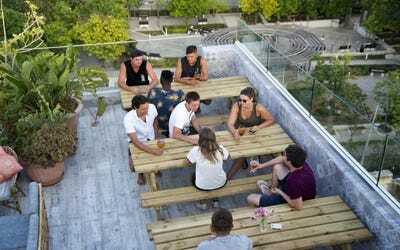 Named one of the best hostels in Croatia six times, the recently renovated Split Guesthouse sits just outside of the centre of Split, only 100m from the old town. Price: Double privates from £25. There are plenty of spots to lounge at the centrally located Lemongrass, including two terraces, a secluded garden, and a common room. If you’re up for something more energetic, the bustling nightlife is only 10 minutes away, as well as local shops, galleries, designers boutiques and a food market. Or you can just hit the beach. CZECH REPUBLIC: The Madhouse, Prague. One of most highly rated hostels in central and eastern Europe, The Madhouse is popular with visitors thanks to its hand-painted murals, daily activities, games, nightly group dinners, and homely atmosphere. 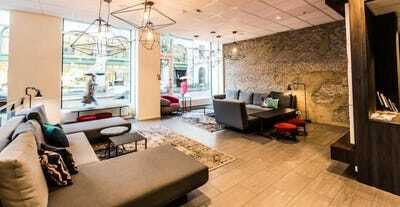 DENMARK: Copenhagen Downtown Hostel, Copenhagen. 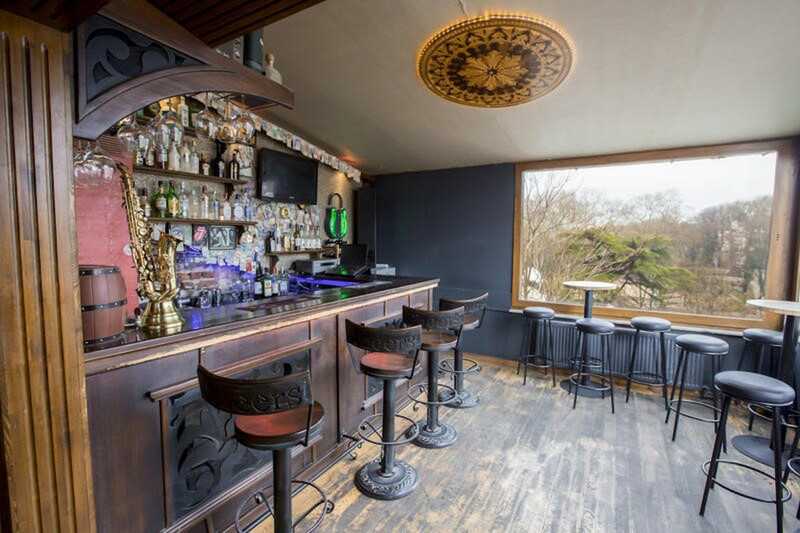 Head here for a daily happy hour at the lively lounge and bar, live music, and ideal location just between Christiansborg Palace and the Tivoli gardens. ENGLAND: Wombats City Hostel, London. 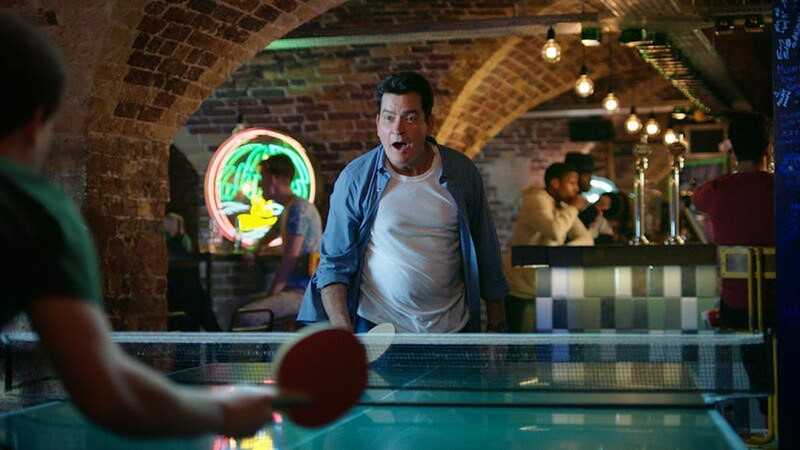 Located a literal stone’s throw from Tower Bridge, this super-clean hotspot has seen the likes of Charlie Sheen hanging out to play ping pong. Guests can also enjoy the bar, courtyard, and all-you-can-eat continental breakfast. 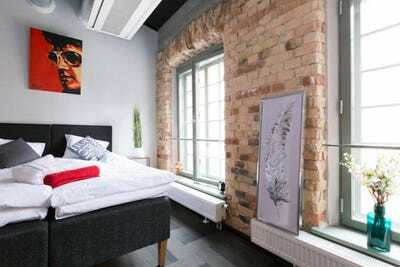 ESTONIA: Welcome Hostel Rotermann, Tallinn. A new innovative concept hostel in the center of Tallinn, Welcome Hostel is located in the trendy Rotermann City right in the heart of the action with bars and restaurants close by. 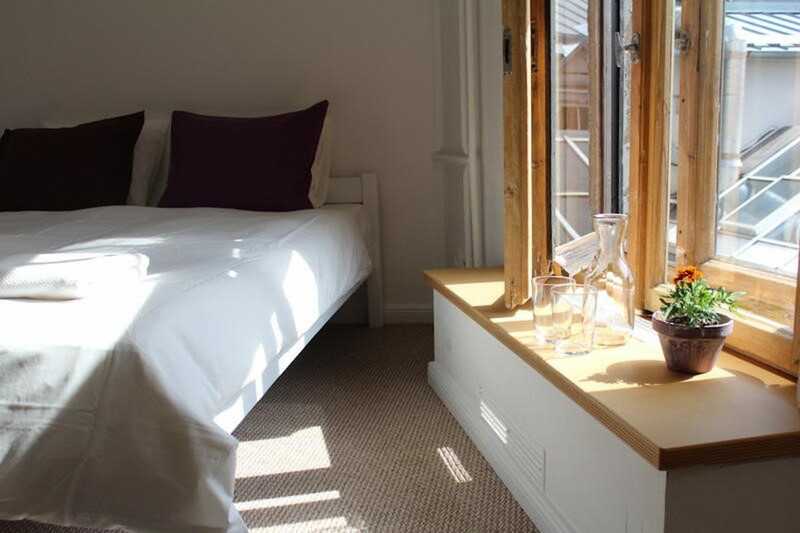 Price: From £15.67 for a dorm and £67 for a private triple room. 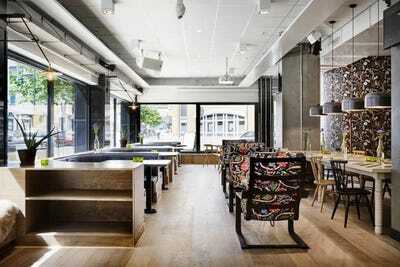 FINLAND: The Yard Hostel, Helsinki. A gem in the hip and arty Belleville area of the city of lights, Les Piaules was opened by young travellers. The “art deco palace” offers coffee in the morning, craft beer in the evening, and a rooftop terrace with views over Paris. 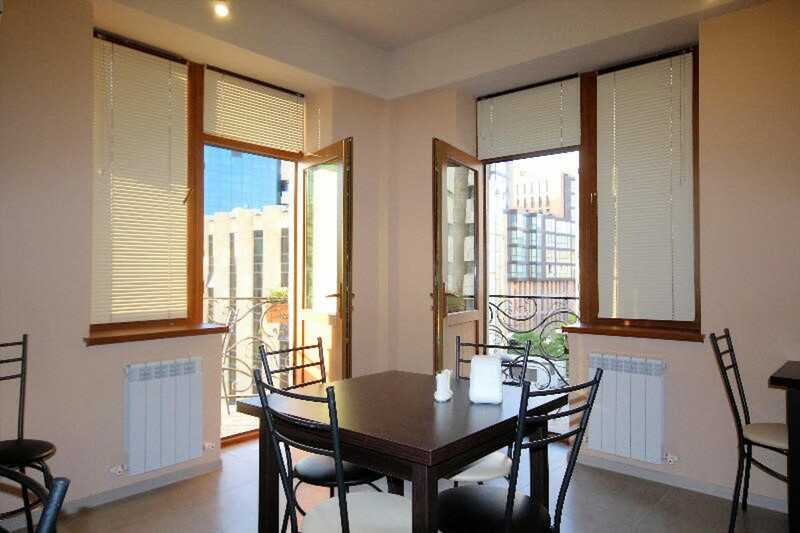 Enjoy breathtaking views of Tbilisi from the huge rooftop terrace while enjoying your free breakfast, then step outside and you are smack in the middle of the Old Town area. Price: From £10.53 for a dorm room. 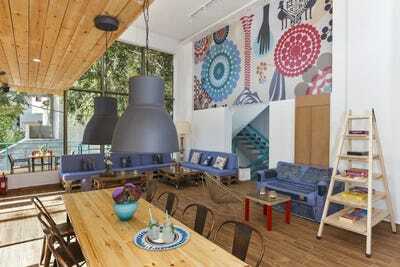 GERMANY: Wallyard Concept Hostel, Berlin. 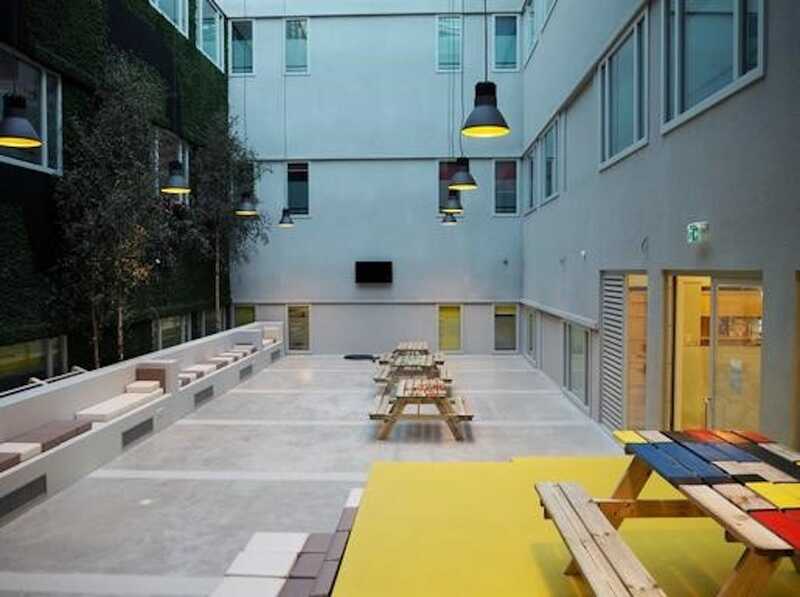 The drop-dead gorgeous modern, minimalistic design of the Wallyard Concept Hostel feels more like a designer hotel, but dorms start at just £19. It’s in the heart of Berlin, too – although its chilled-out café, sunny backyard, and bar might be more appealing than going out. Opened in 2015, Stay Hostel is right in the middle of Rhodes town, perfect for beach bums or those wanting to check out the nightlife and shopping. The main attraction? The happy hours, pizza and souvlaki nights, live music events, gym, yoga, and massage on offer. Price: Private rooms from £22, dorms from £14. Pal’s, located right next to the Chain Bridge, offers beautiful views across to Szent Istvan’s Basilica. 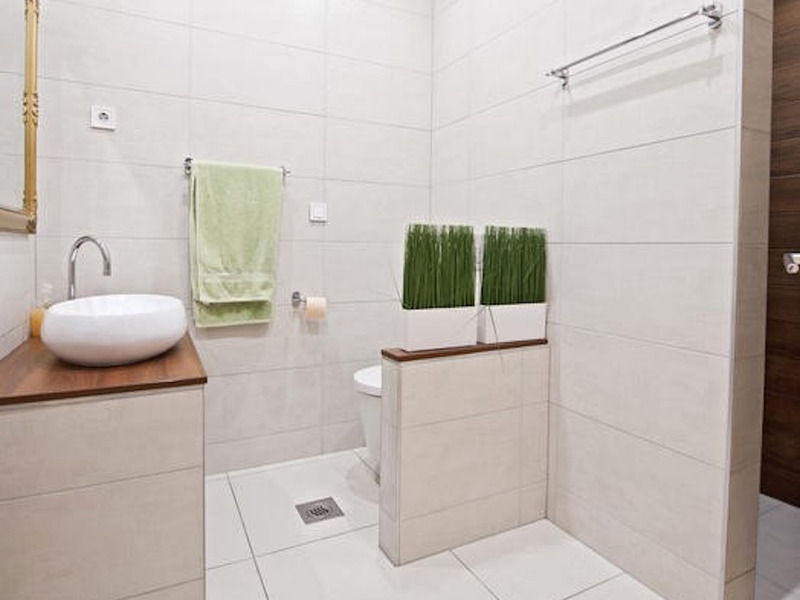 It’s a chain of apartments that aim to offer some privacy. 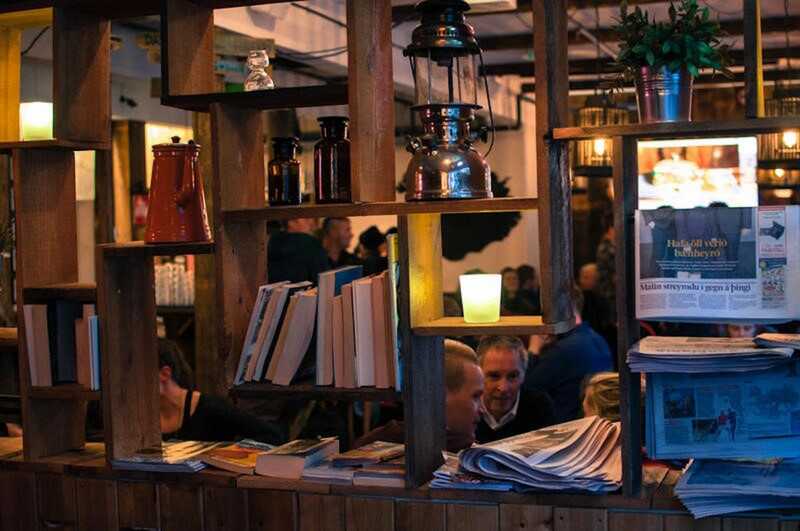 If you’re in Iceland’s “capital of the north,” Akureyri Backpackers is a lively option in the town’s centre, surrounded by coffee houses and restaurants. IRELAND: Galway City Hostel and Bar, Galway. Winner of Best Hostel in Ireland two years in a row, Galway City Hostel is ideally located beside the bus and train station overlooking Eyre Square, and is the ideal place to explore further afield to visit The Cliffs of Moher, Connemara, and The Aran Islands. Price: From £21.99 for a dorm room. 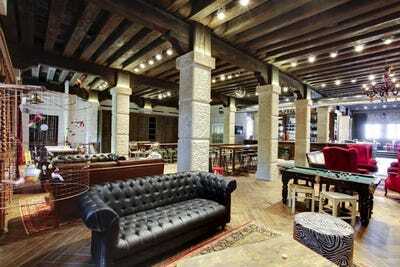 Another glamorous, modern option, Generator was made for its Venetian surroundings, with beautiful city views and a stylish hostel bar. 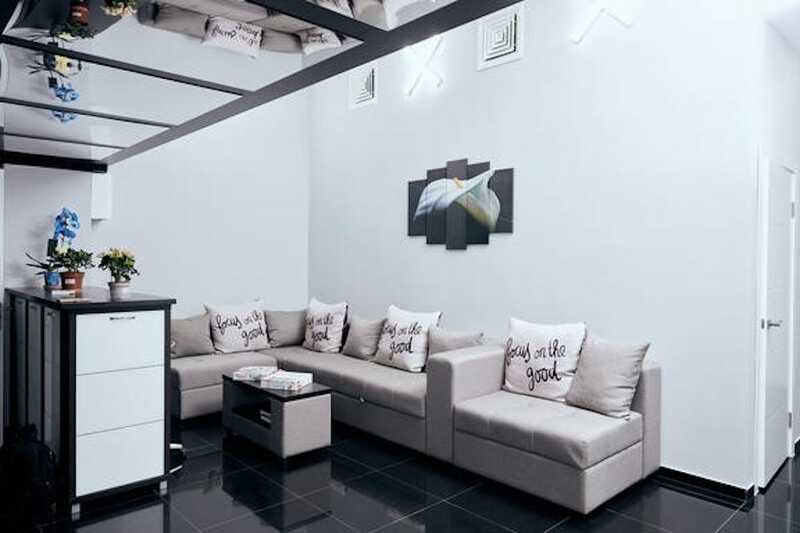 You can grab a king size bedroom at Kapsula Hostel, which sits right in the heart of Astana, offers free WiFi, a fully equipped kitchen, and even meals for those who can’t be bothered to cook. KOSOVO: Prishtina Center Hostels, Prishtina. Located right at the centre of Kosovo’s bustling capital city, Prishtina, visitors can see the National Theatre of Kosovo from the terrace. It’s right near some of the town’s monumental buildings including the National Library and the City Art Gallery, and just a short walk to the City Park – and some pretty great bars and clubs, of course. 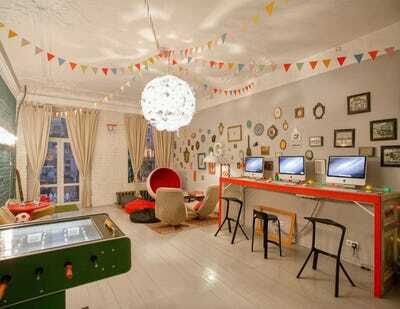 LATVIA: Tree House Hostel, Riga. If relaxation, yoga, and walk around the city are what you have in mind, the hosts at Tree House, located in Riga’s Old Town, can help you out – they will even prepare organic meals, offering free breakfast and tea and coffee all day long. 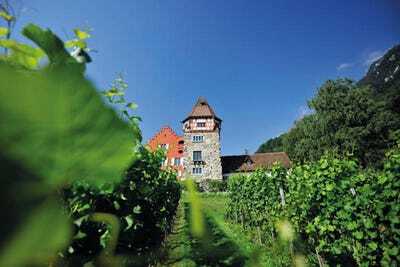 The Principality of Liechtenstein may only cover 160 square kilometres, but it houses a wide variety of leisure and sports facilities, all of which you can explore from Youthhostel Schaan-Vaduz. Price: From £81 for a double private or £32.22 for a dorm room. LITHUANIA: The Monk’s Bunk, Kaunas. 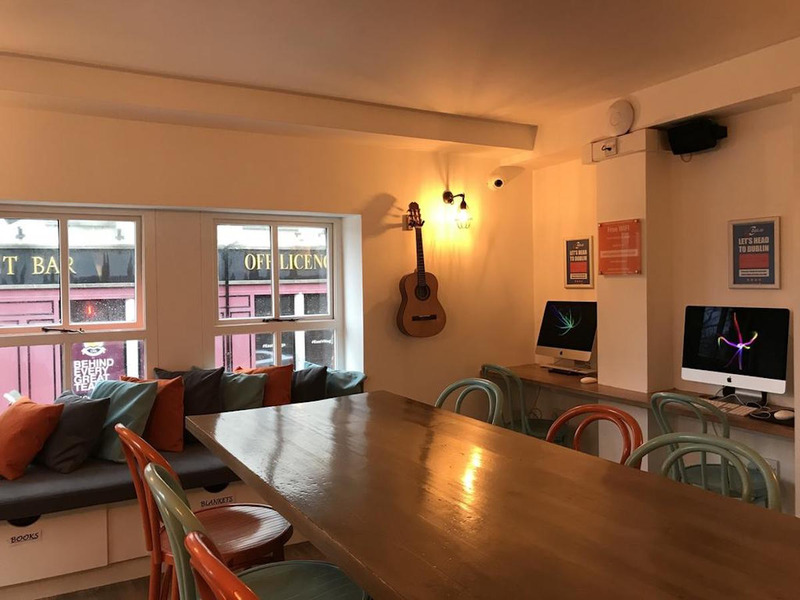 This is more like your typical backpackers, but it’s right in the heart of town, offers free WiFi, a foosball table, a TV, and a book exchange – as well as close proximity to restaurants, pubs, and nearby sights. 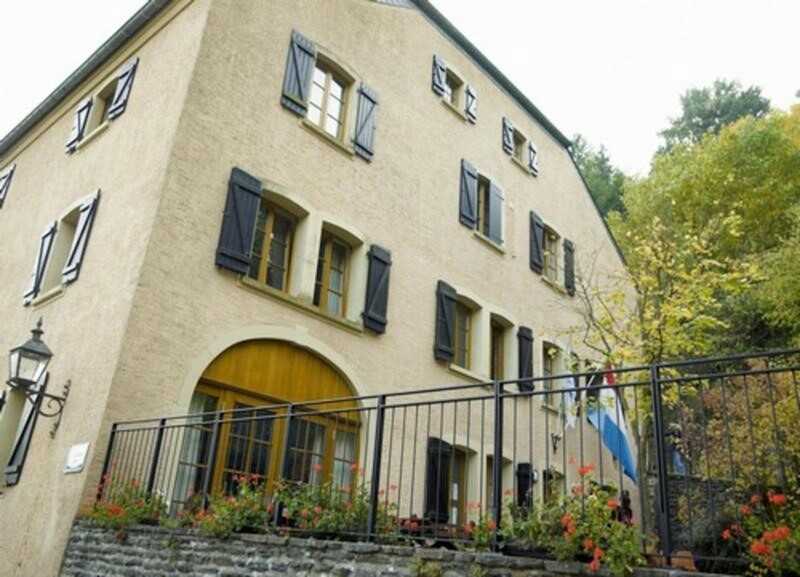 Based in an old traditional house in the upper part of the town which was renovated in 2004, Hi Vianden is just a few minutes’ walk away from the castle. It has a small common room, cellar lounge, and offers the option of full board (lunch, dinner, packed lunch) with a range of Luxembourgish specialities and vegetarian meals available. 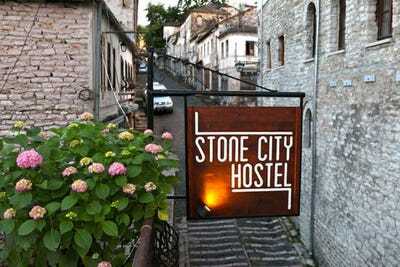 MACEDONIA: Agartha Hostel Ohrid, Ohrid. 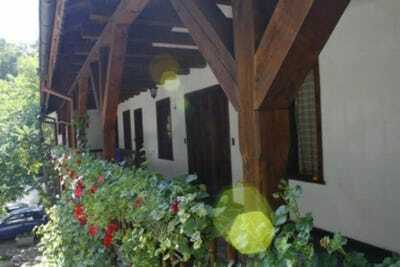 Rest up at Agartha Hostel Ohrid, ideally located in the centre of town as you explore Ohrid, but with two large common rooms and a garden to chill out – or gather some fruit. MALTA: Marco Polo Hostel, St Julian’s. With a massive terrace looking out across the blue Mediterranean, this is the perfect place for cocktails or a BBQ – though there’s also an indoor kitchen, should you prefer. 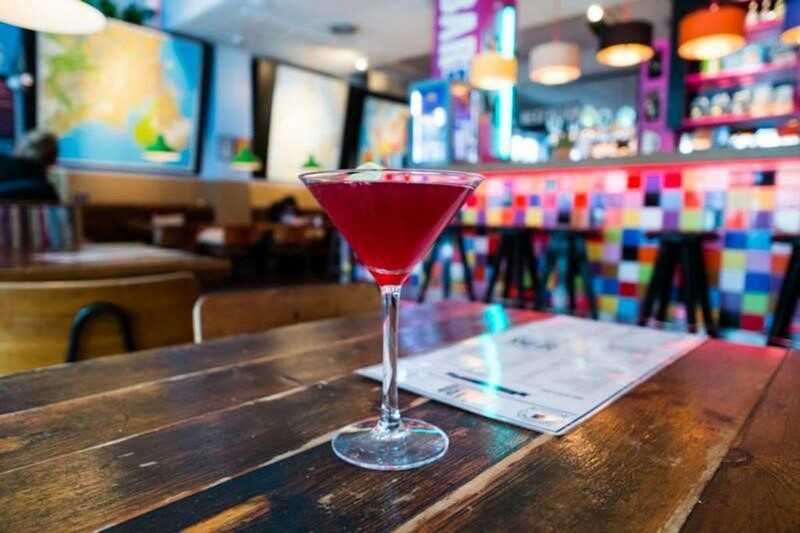 The hostel is just five minutes from Spinola Bay, where you can check out the iconic Love monument, nightclubs, restaurants, and street food vendors around Paceville. 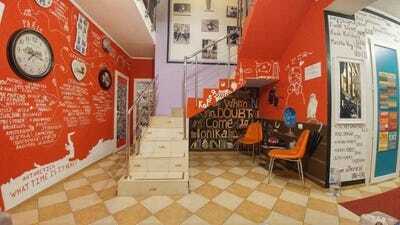 MOLDOVA: Amazing Ionika Hostel, Chisinau. Located in the heart of the historical Chisinau city centre, the Amazing Ionika Hostel is just a few minutes’ walk from the main street “Stefan Cel Mare,” which boasts plenty of bars, restaurants, coffee bars, and shops. 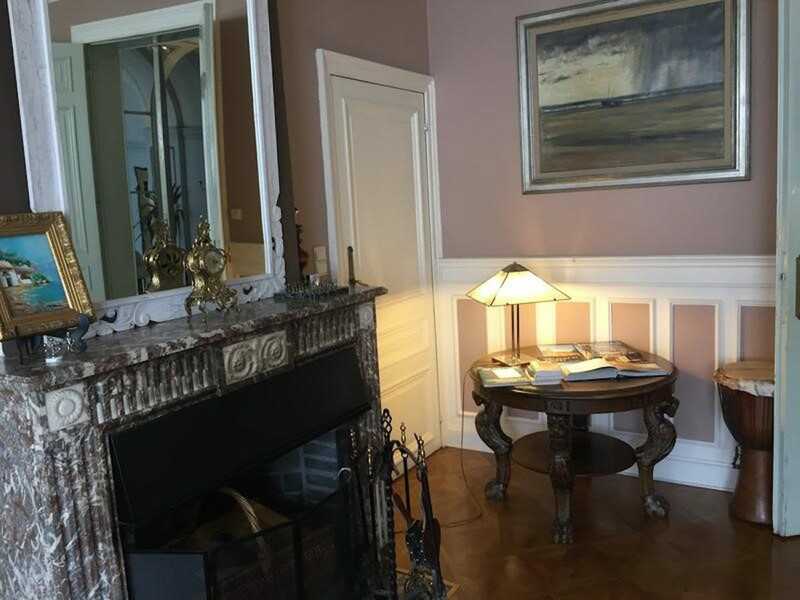 It’s in the middle of four museums, a three-minute walk from the local Water Tower – a beautiful sightseeing spot from which you can see all of the city – and under ten minutes away from the local lake with a huge fountain. MONTENEGRO: Hostel Hikers Den, Zabljak. 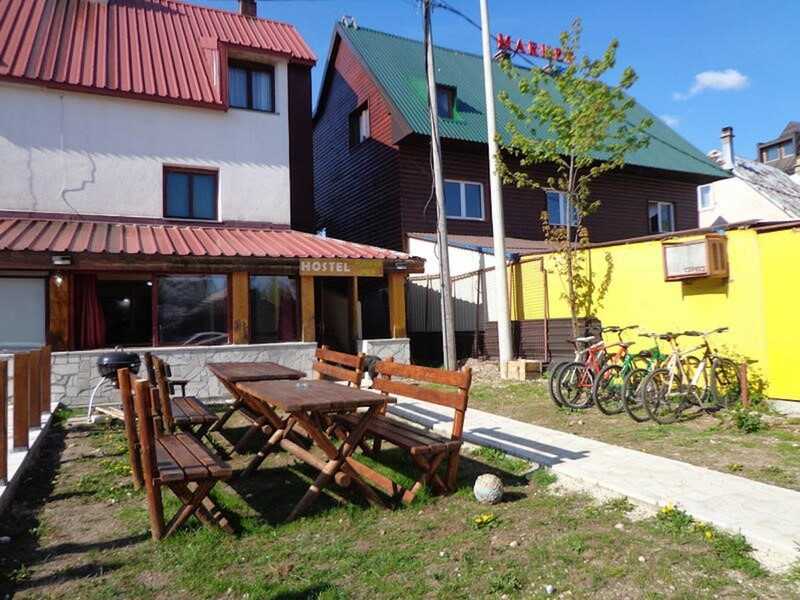 Montenegro’s Hikers Den is the first and only hostel in Zabljak, and an ideal spot to base yourself on a visit to the country’s National Park Durmitor. 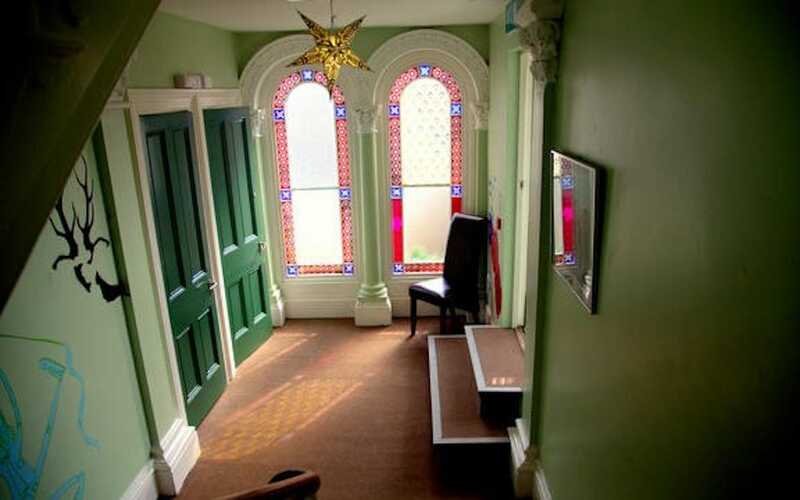 The hostel offers six, five, and four-bed dorms, in addition to private double or twin rooms and studios. The modern, laid-back ClinkNOORD is located in the culturally vibrant area of Amsterdam Noord, just 10 minutes from the back of Amsterdam Centraal Station. Original features from the beautiful 1920’s laboratory building have been retained, including an impressive stained glass window that runs right to the top floor. The hostel also boasts a library/work space, a sunny and spacious atrium, a café, and an in-hostel bar – as well as free WiFi and a buffet breakfast for just over £5. NORTHERN IRELAND: Global Village, Belfast. NORWAY: Saga Poshtel Oslo Central, Oslo. It’s located in the heart of Oslo’s city centre, ideal for public transport and visiting landmark sites such as Oslo’s Opera House and the Akershus Fortress. 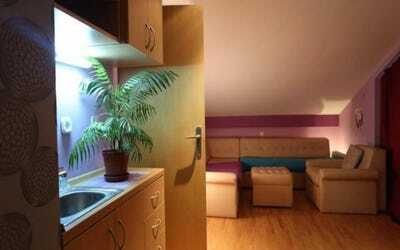 POLAND: Pink Panthers Hostel, Krakow. There are even beer pong and wine evenings. 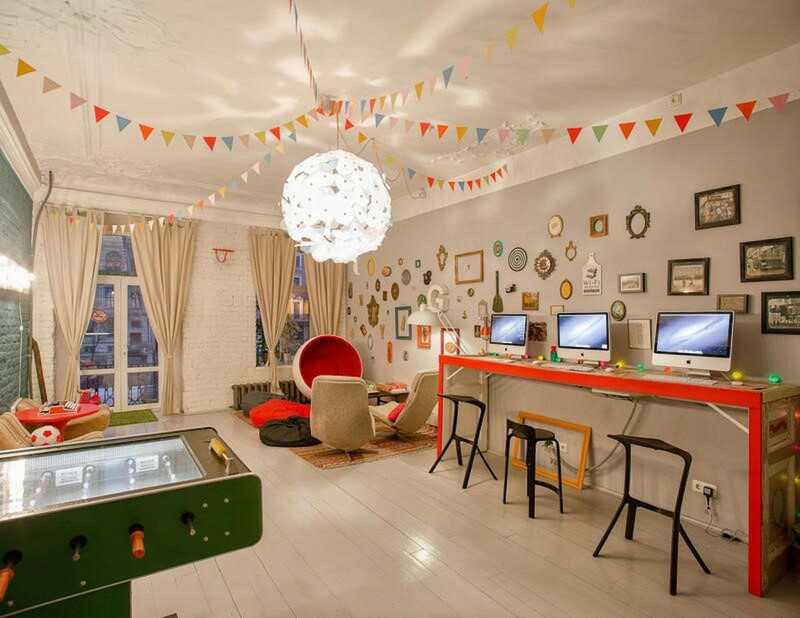 PORTUGAL: The Independent Hostel & Suites, Lisbon. 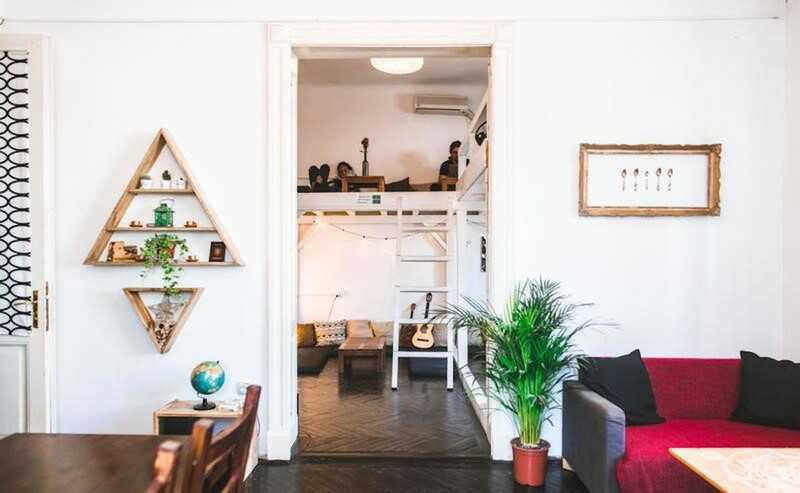 Located in what it calls a “stunning 19th century palace” between Príncipe Real and Bairro Alto, this is luxury on a budget – it even offers free beer hours. 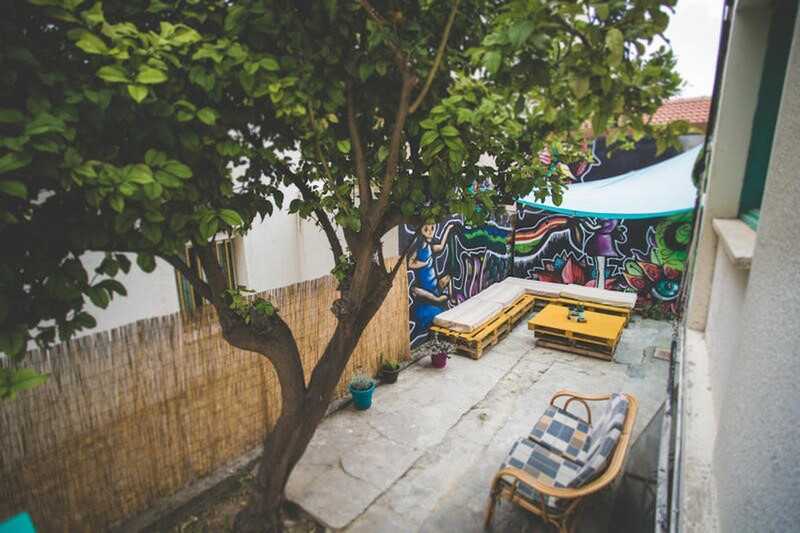 This community hostel is run by four best friends and experienced travellers. It’s just a five-minute walk from Unirii Square. RUSSIA: Soul Kitchen, St Petersburg. 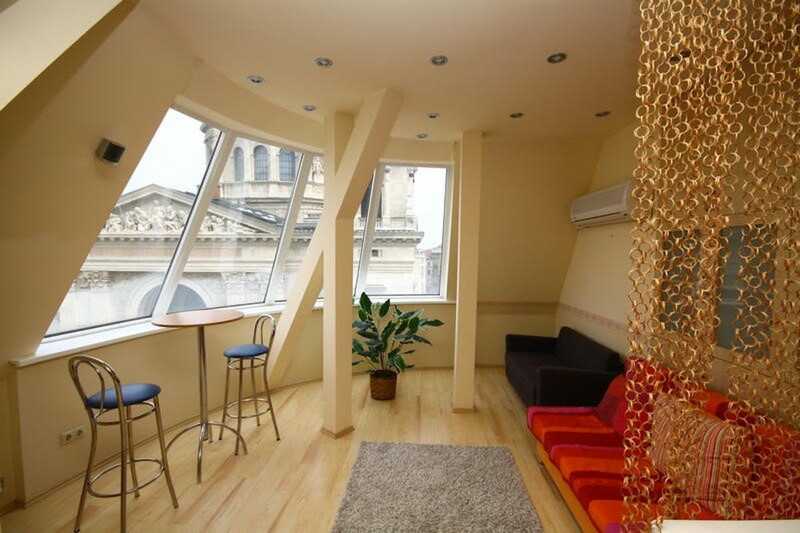 Located in the most beautiful and central area of St Petersburg (near St Isaac’s cathedral), Soul Kitchen has both ensuite private rooms and dorms with custom bunk beds and curtains for privacy and cool design. It won the prize of Best Design Hotel at the Russian Hospitality Awards 2017. 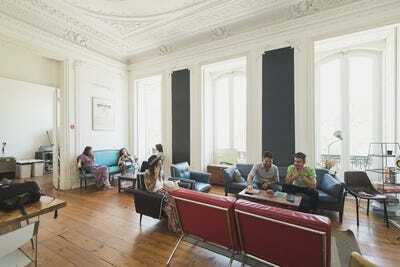 SCOTLAND: Castle Rock Hostel, Edinburgh. 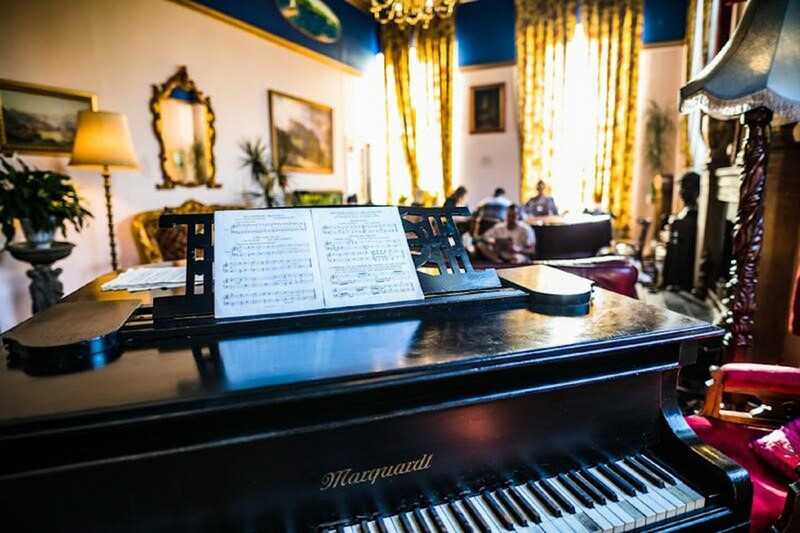 Sitting just beside Edinburgh Castle, up the hill from the city’s popular Grassmarket drinking, eating, and clubbing zone, this “palatial” hostel is full of character, with themed rooms, a large kitchen, multiple lounges, and walking tours. 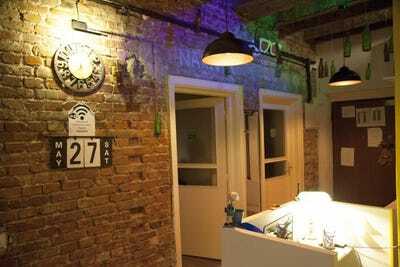 Hostel Bongo is located on one of Belgrade’s main streets, five minutes away from the main sites. It has six modern bedrooms, a spacious common room, and it’s all air-conditioned. 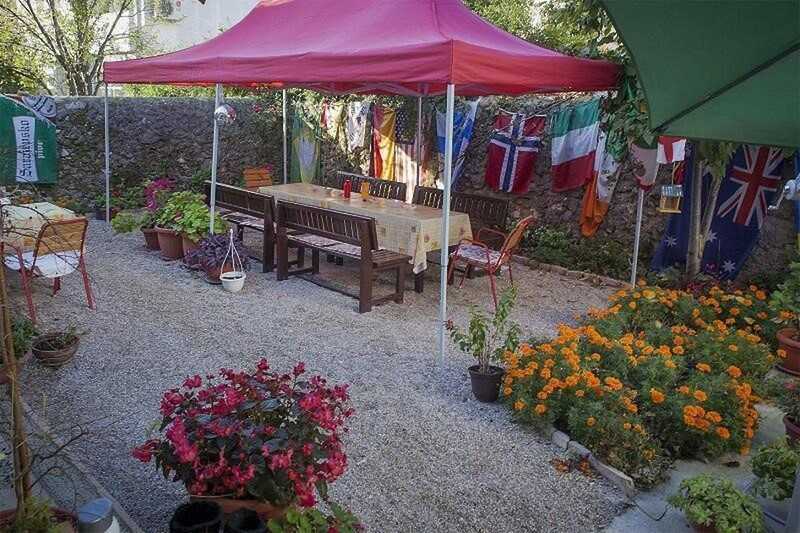 There’s also a spacious backyard for chilling with a pint of beer and a barbecue. SLOVAKIA: The Ginger Monkey, Zdiar. The Ginger Monkey is in the beautiful village of Zdiar in the High Tatras Mountains of Slovakia. 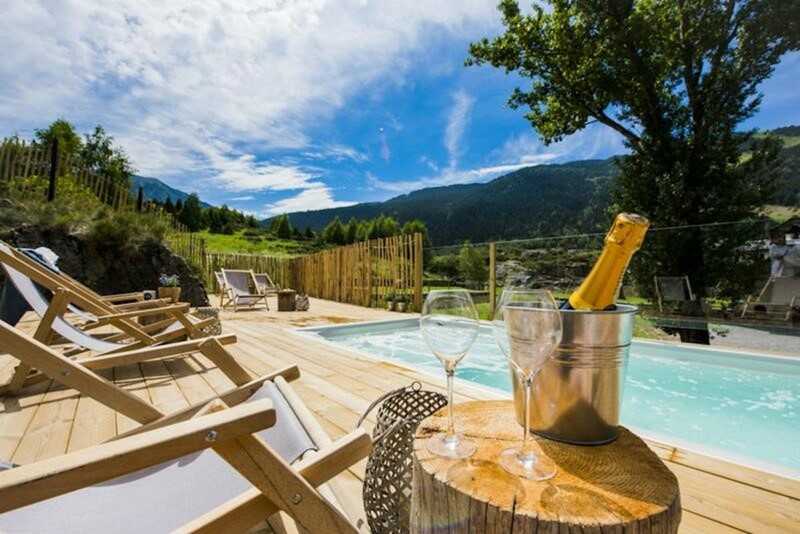 Breakfast and all day tea and coffee are included at this small, sociable spot, perfect for nearby activities like skiing and snowboarding, ice hockey, trekking, caving, cycling, climbing, skydiving, or just walking the hostel’s dog, Wally. 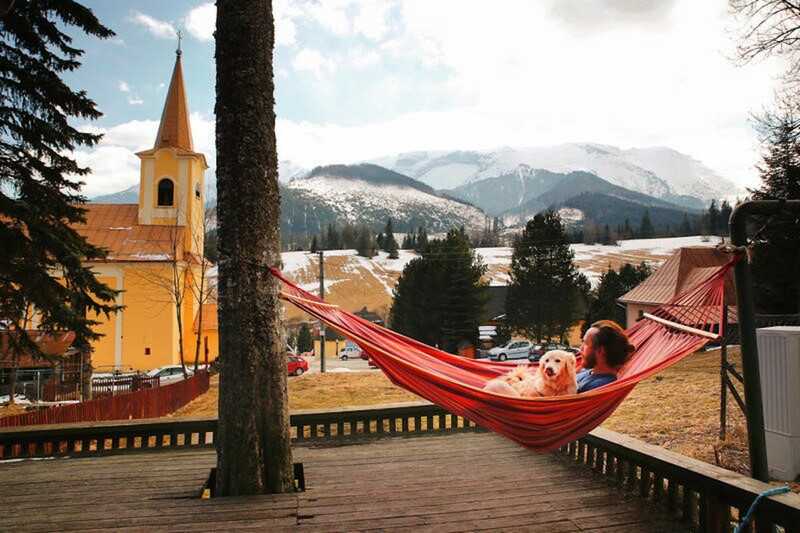 SLOVENIA: Jazz Hostel and Apartments, Bled. If the under-the-radar Lake Bled is on your list of places to visit, The Jazz Hostel is the perfect spot in a peacful part of the town, just 10 minutes to the castle and five to the town centre. 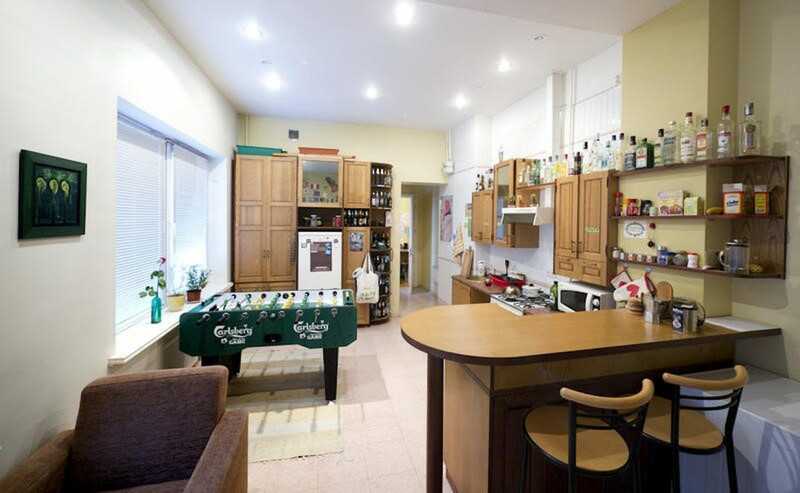 A short walk from most of the best sights that the Spanish capital has to offer, Sungate One has a spacious common room and fully-equipped kitchne perfect for beers, tortilla, and tapas. Price: A stay in a four-bed dorm will cost you £25. 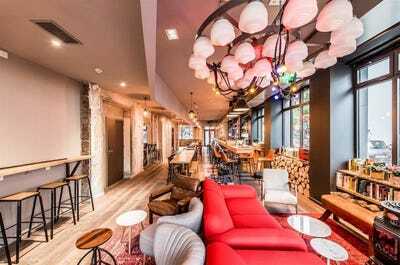 With a 24-hour reception and a duty manager, this hostel feels far more like a high-end hotel with beautiful design touches, a ground floor chill-out lounge, and restaurant and bar with a Nordic twist. SWITZERLAND: Backpacker’s Villa Sonnenhof, Interlaken. 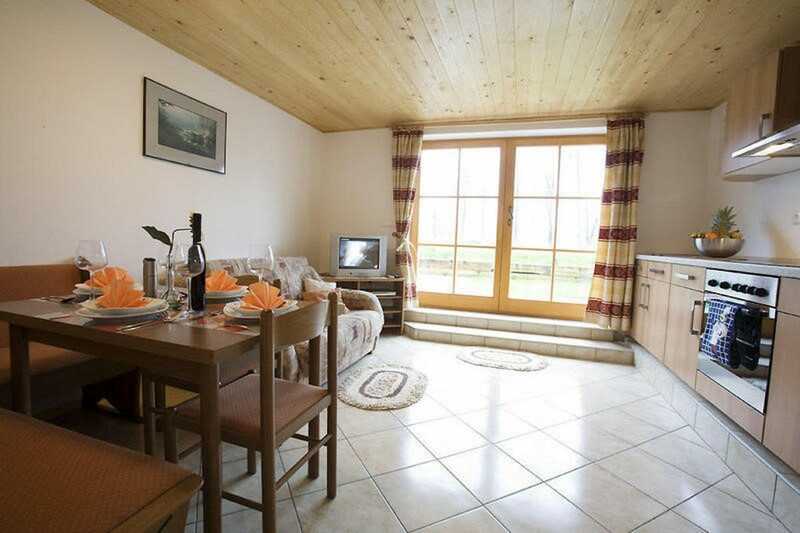 Breakfast and WiFi is included, as well as entry to swimming pools and mini golf. Sitting right in the very heart of the Old City of Istanbul in Sultanahmet, Cheers is a minute’s walk from sights like Hagia Sophia, the Blue Mosque, the Underground Cistern and Topkapi Palace, and the Grand Bazaar. It boasts the impressive Wintergarden Panoramic Terrace Bar that offers breathtaking views overlooking the Hagia Sophia, Topkapi Palace, and Taksim, where you can enjoy a self-mixed mojito in summer or a mulled wine in winter – there’s even a real fireplace. 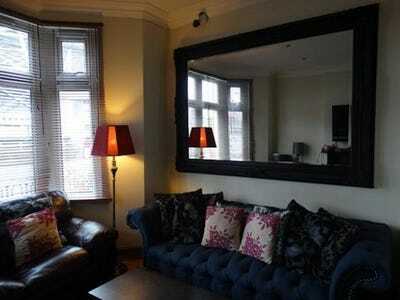 WALES: The River House, Cardiff. Run by a brother and sister team, this small hostel boasts a free breakfast and communal kitchen.